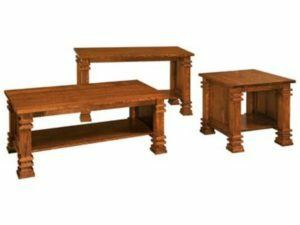 You’ve found the source for coffee table sets that will fit the décor of your upscale home, look awesome and last for a very long time. Because these are Amish-made sets from Brandenberry. And they’re painstakingly hand-crafted for unrivaled beauty, strength and longevity. Wood corbels and a classic style accent the Adams Occasional Table Set. 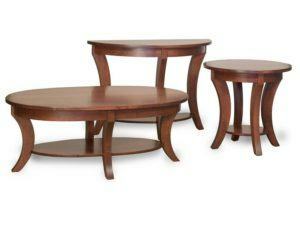 The Amber Occasional Table Set features a clean, functional design. 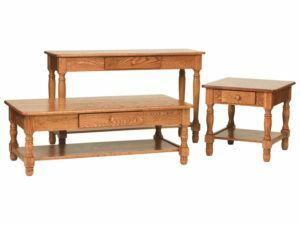 The Arts and Crafts Occasional Table Collection features a classic mission design and sturdy construction. The collection includes Arts and Crafts Sofa Table, End Table and Coffee Table. 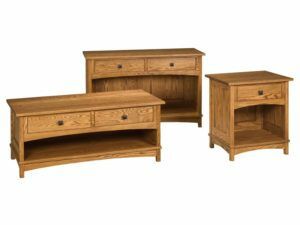 The Carlisle Shaker Occasional Table Collection makes a graceful accent to any home. 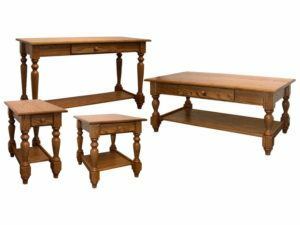 The Classic Occasional Table Collection features beautiful turned legs. 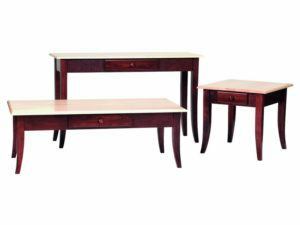 Fine wood selection highlights the Country Occasional Table Collection. 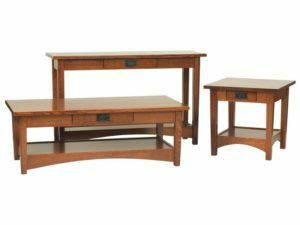 The Craftsman Mission Occasional Table Collection features the classic mission design that will beautify any home. Eye-catching craftsmanship marks the Diamond Occasional Table Set. The Hawkins Occasional Table Collection features sturdy, durable construction. 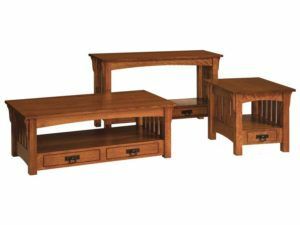 The Homestead Occasional Table Collection possesses a natural, rustic elegance. The Kenwood Collection Coffee Table features a truly unique design. Sleek lines and sturdy construction meet in the Madison Occasional Table Collection. The Open Mission Occasional Table Collection boasts impressive construction and a timeless beauty. 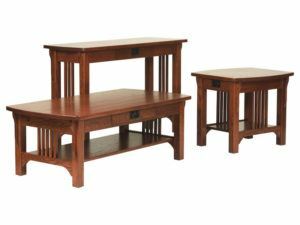 The Slat Mission Occasional Table Collection features a classic mission design with beautiful details. 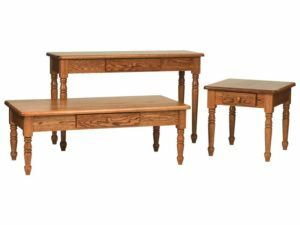 Welcome to a large, eclectic collection of wood coffee table sets from Brandenberry Amish Furniture. How eclectic? 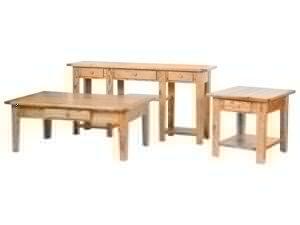 Consider that the collection of coffee tables, end tables and sofa tables represents a wide range of styles. From Mission to Shaker elements. And from Arts and Crafts to modern. Notice also that you get to choose between open and enclosed units. So you’ll be able to find a look that syncs perfectly with your existing furniture. Skilled Amish cabinetmakers custom-build each unit. And they use solid hardwoods throughout. Like oak, cherry, maple and hickory. So you won’t find bargain substitutes like particle board or veneered cardboard anywhere. No wonder the coffee table sets are so sturdy. In fact, with proper care, the set you choose should last for decades to come.